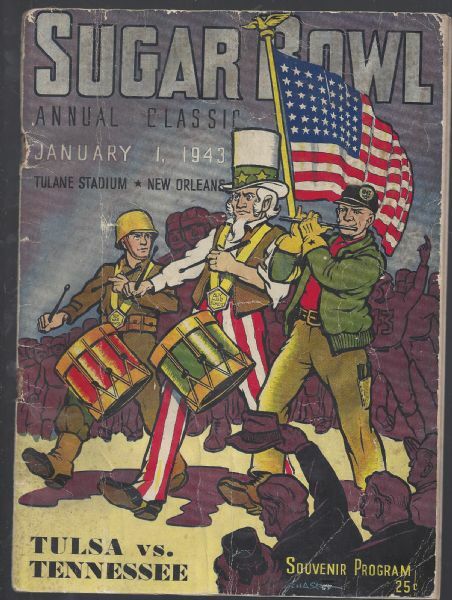 1943 Sugar Bowl (Tennessee vs Tulsa) official game program - missing some center pages. Jan. 1, 1943 at Tulane stadium in New Orleans. Unfortunately, program is missing a few pages in the center. Poor.